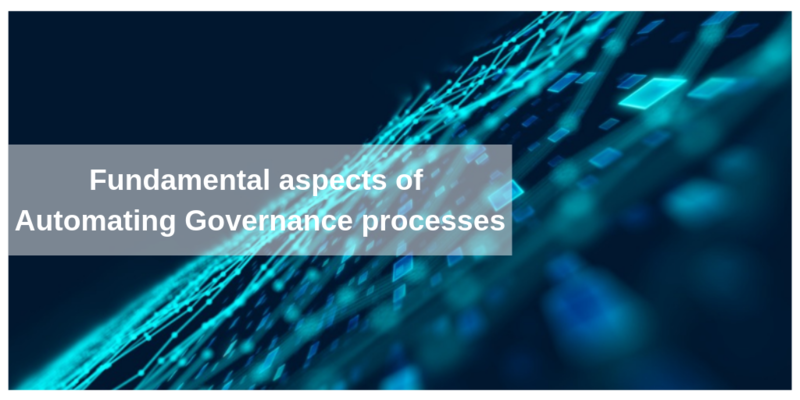 Governance, Enterprise Risk management, Information Security and Regulatory Compliance all place a burden on Companies to ensure that their Governance, Risk and Compliance (GRC) policies protect Customers, staff and stakeholders. Minimizing Risks while being cost effective is a key challenge for Companies, particularly in the dynamically changing Business Landscape where cyber-attacks keep on rising. Unfortunately, many Businesses – both big and small – have still not empowered themselves with sufficient Technology Automation or processes to prevent attacks. GRC systems and software are often perceived and tackled as too expensive and not relevant enough, especially for smaller organizations, and that’s the reason why Companies continuously face the Risks of damaging data breaches. Automating GRC systems is a sure shot way to implement a robust Information Security management system process while being cost effective. Automation can never be treated in silos. An organization needs the involvement of everyone who influences or is directly involved with Data Security, including front-line staff. Also, Processes need to match with system capabilities. The primary challenge in GRC Automation is identifying vulnerabilities and how these can be exploited. Next step is to understand the Internal Controls. Once you have full visibility of the opportunities and controls, you can start to look at how GRC processes can be mapped appropriately with overall Business objectives. The Board and the C-suite need to have a clear vision of what the Business wants from the Automation. Another significant question is, what kind of tools will be available to Business Users? What is the criterion for choosing and prioritizing Automation projects? 1. Having a clear objective: This step involves answering a critical question of what is the ultimate goal of Automating GRC Processes? Is it for Information Security? Is it for Compliance with Industry Regulations? Is the project meant for keeping insurance costs low, or reducing the amount of time spent doing repetitive and tedious tasks? 2. Identifying existing and potential Risks: It becomes vital to have real-time and full visibility into Organizational Risks so that they can be identified at the right time and mitigated quickly. Here, having an external party review your Security processes can be of much help. This will assist in finding out how easy – or not – it is to breach current processes and systems. 3. Developing a Strategic Plan: The final step involves putting together a plan that brings together different departments that interact with Security, Risk, Audit, and Compliance on different levels (e.g. lines of business, HR, finance, physical security, legal, business continuity, IT and of course information security). It has to be ensured that this plan intersects with government legislation so that you remain Compliant with Industry Regulations. The objective of fostering GRC automation is to move an Organization towards a proactive approach of gaining a competitive edge, instead of resorting to reactive models. Continuous monitoring and Automated vigilance is a good investment as compared to paying hefty fines, damaged reputation and lost customers. Cost-effectiveness is one of the major benefits of Automation. Another significant benefit is that of creating time efficiencies. Employees spend less time on repetitive tasks and can invest more time leading sustainable growth instead of worrying about Compliance and Information Security. Everyone in the Organizational hierarchy benefits from an automated GRC system. Visit us at our #AppExchange listing today at https://cglabs.us/cg_products and get confident with your Governance initiatives.